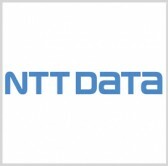 NTT Data has expanded the company’s North America service delivery center located in Louisville, Kentucky as part of an effort to grow its financial services business in the U.S.
Customers will have access to on-shore delivery support through the center and the company will hire more than 300 positions in Louisville for financial services jobs, NTT Data said Tuesday. “The addition of a financial services focus at the NASDC further strengthens our ability to help financial services clients successfully manage the relentless pressures of regulatory compliance and capital requirements,” said Jim Milde, president of financial services and insurance at NTT Data. NTT Data opened the facility in 2013.